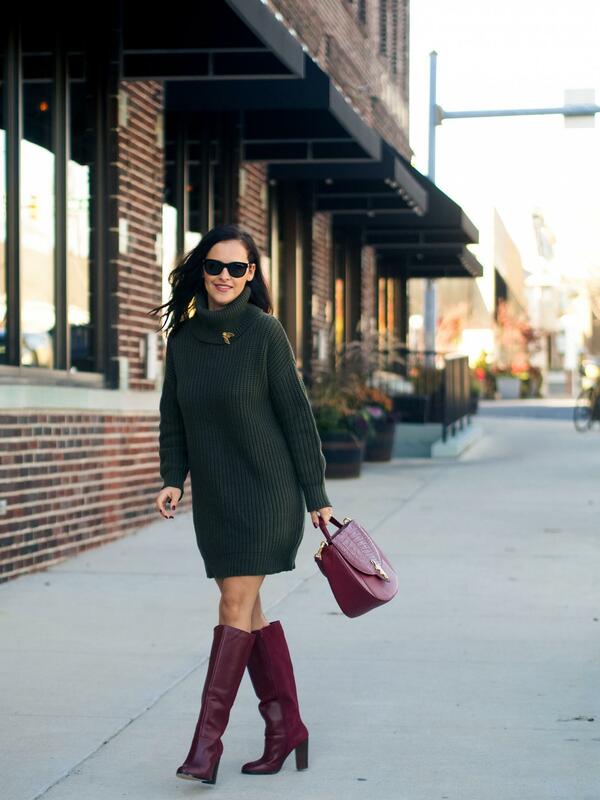 The "Fall Color Story " continues with another rich combination: Dark olive green & Burgundy. Love at first sight! 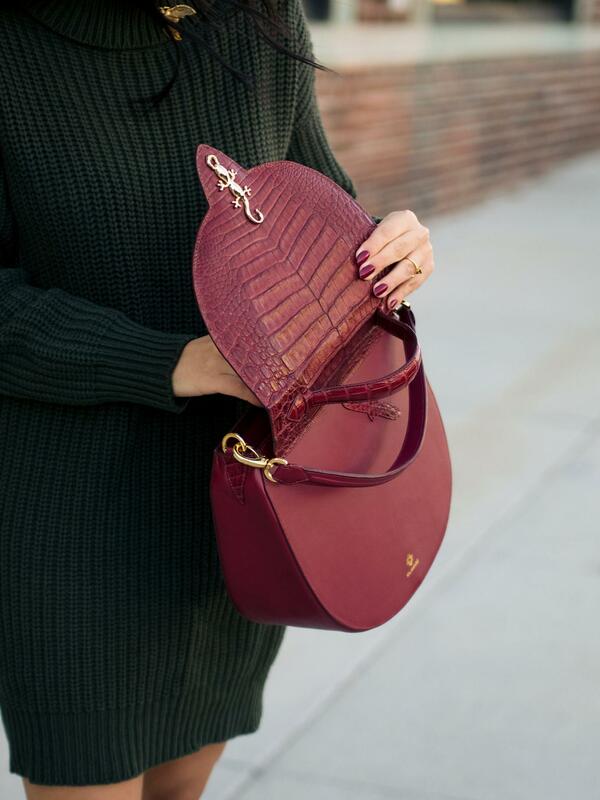 The Kalamarie bag is my favorite part of this look for many reasons (quality, color, size) but the main one is the mix of textures: smooth surface and crocodile leather, both in one excellent piece. Do I have to say more? The best outfit I’ve seen in a while. Perfect colors! When it comes to colour choices, I’m a bit of a vampire. Fall colours are my favourite and you look so great in rich tones! I also really appreciate that all of the peices in this outfit are so affordable! The bag.. the bag…. and OMG the brooch!